Free Open Studio FRIDAYS 4-7pm & Saturdays 3-7pm. Where: 2728 Thomson Ave. WS6, Long Island City, NY 11101 inside the Arris Lofts on the 1st floor. Accessible by the E, M, G, and 7 trains at Court Square. + N, W, and R trains at Queens Plaza. 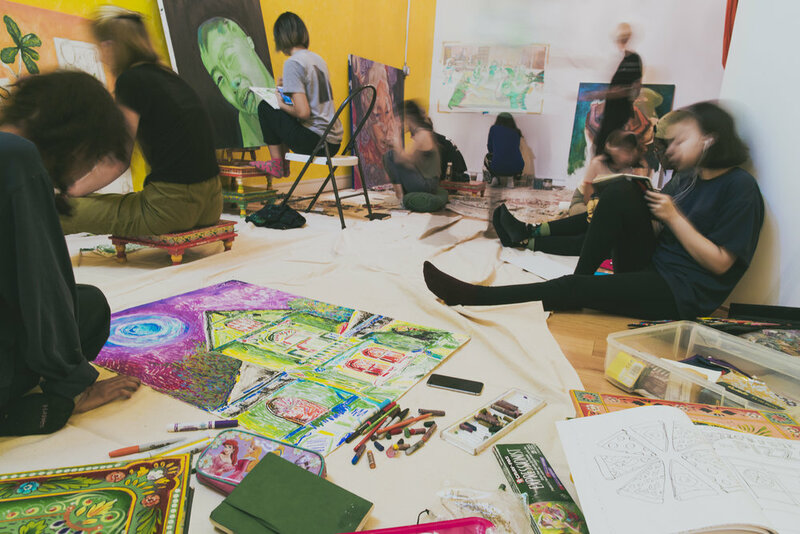 WHAT: Teen Art Salon provides a FREE collaborative studio space for adolescents to establish and advance a studio practice. Materials are provided FREE of charge and long-term project proposals are considered by young artists of all experience levels. The open studio program functions as an interdisciplinary laboratory through which students can create and exhibit work amongst their peers. In hopes of assisting participants with their future ambitions, Teen Art Salon seeks to introduce students to professionals from their respective fields of interest through inviting guest speakers, interacting with organizations in the local community, and providing on-site mentors.